The famous homicide detective, complete with dirty mac and dirty cigars, is personally hired by Mortanius to discover the identities of who murdered the six guardians and the six Sarafan Sorcerer Priests. 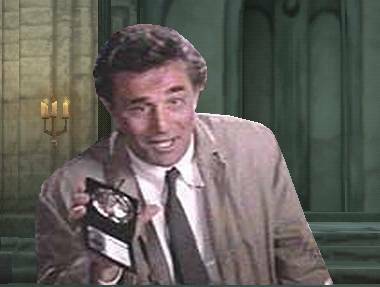 Columbo seems as always as being a silly old man, but behind the façade is the master criminal catcher. As Columbo investigates, investigates some more, and constantly asks ‘just one more question sir’, he begins to unravel the convoluted series of mysteries and agendas everyone in Nosgoth seems to be a part of. Just one more question sir.